Isn’t it funny that we’ve started decorating with something that used to be used to store food? Who would have thought that a simple glass storage mug could create a decorating craze! So now that I’ve caught this “decorating craze” I want to share with you a few ways I’ve created some easy mason jar home decor. There are so many fun MASON JAR CRAFTS. I would use them all over the house if I could, seriously. 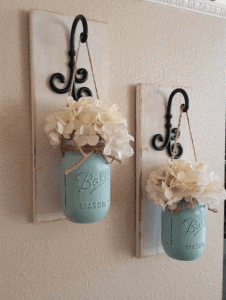 Pictured below are two mason jars I painted with Annie Sloan Duck Egg Blue, hot glued two pieces of rope around them, and added a few flowers from Walmart. Easy peasy! Mason Jars are so versatile, and can be repurposed in so many ways. I love how we can recreate farmhouse vibes with a little easy mason jar home decor. I used an old hand soap pump and inserted it in to the top of this “mason jar margarita glass,” painted it with milk paint, and hot glued a piece of ribbon around the top. How about that for a new piece of home decor? Now I have a very functional MASON JAR HAND SOAP DISPENSER. It’s funny to think what my late grandmother would say if she saw this hand soap dispenser right now. Twenty years ago mason jars were a VERY functional and necessary item to store food. Now, they are becoming a decorating CRAZE! Does anyone store food in a mason jar anymore? I can’t say I do. 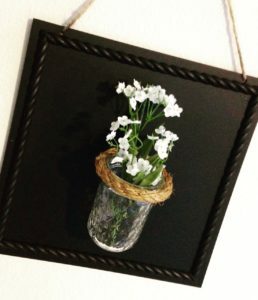 I also created DIY Mason Jar wall art after being inspired from something I saw on the Magnolia website. To see more on how I created this hanging wall art project click HERE. Anyone who has a Pinterest page and pins anything home decor related probably has saved a REPURPOSED MASON JAR pic. Am I right? How cute is this mason jar piggy bank! I might have to make my son one of these. 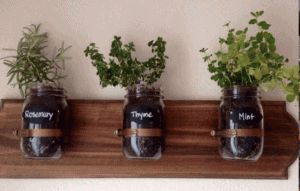 What a fantastic idea to make herb planters out of mason jars! Anyone else have any ideas of how to use a MASON JAR? Lindsey- Happy to see you have your blog. That is my favor thing to do is look at blogs.Thanks for sharing your good ideals. I will be back. 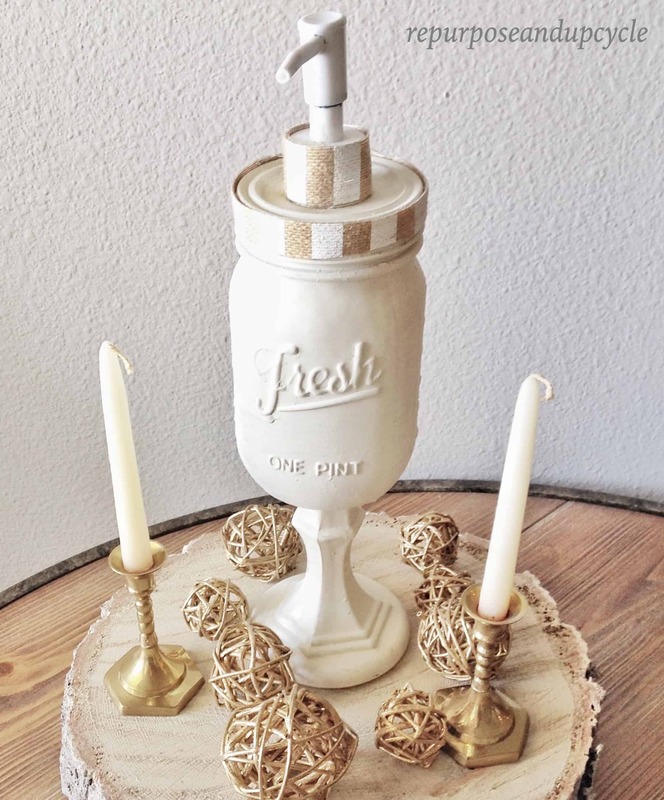 I love mason jar crafts, and that soap dispenser is just amazing! Thank you for sharing at The Really Crafty Link Party. Pinned! Thank you for joining the party and have a wonderful weekend. Wow thank you so much! I’m so honored to be featured! I really need to do this someday! I have a whole bunch of my grandma’s old mason jars left over and these are just adorable! Thank you for sharing with us at the To grandma’s house we go link party! Pinned! Fun ideas for your painted jars. Love the rope around the rim! 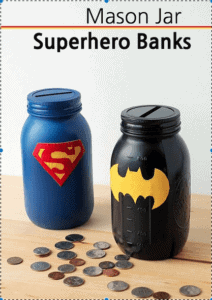 I love and collect jar ideas – your soap dispenser is fabulous. Love the ribbon at the top. Love the herb planter! Growing food is so important and this keeps it stylish and easy for even someone in a small apartment to grow a few herbs. Thanks for sharing, found your post at Thank Goodness It’s Monday. so glad you enjoyed my post! Thanks for stopping by. I love mason jars too. Thanks for sharing all of these fun ideas with us at the Waste Not Wednesday link party. Mason jars are just so versatile. I have them all over the house. Thanks for sharing at Over The Moon Party. Hope you come back next week so I can stop by again. I hope you will stop by Thursday Favorite Things tomorrow. Thank you Bev, I sure will! I hope these never go out of style and I love the soap dispenser! Thank you for sharing with us this week at Celebrate Your Story, and I hope your week is going great. Cute crafts! Thanks for sharing at Celebrate Your Story! These are such cute projects. I like the shape-chic look of the painted and distressed jars. Nice ideas for recycling mason jars! Oops . . . I meant to write “shabby-chic” in the previous comment. But, auto correct changed it to “shape-chic”. You’re probably thinking, “what the heck is that?” Sorry. Haha no it happens to me all the time! Dang auto correct! Cute, Lindsey! 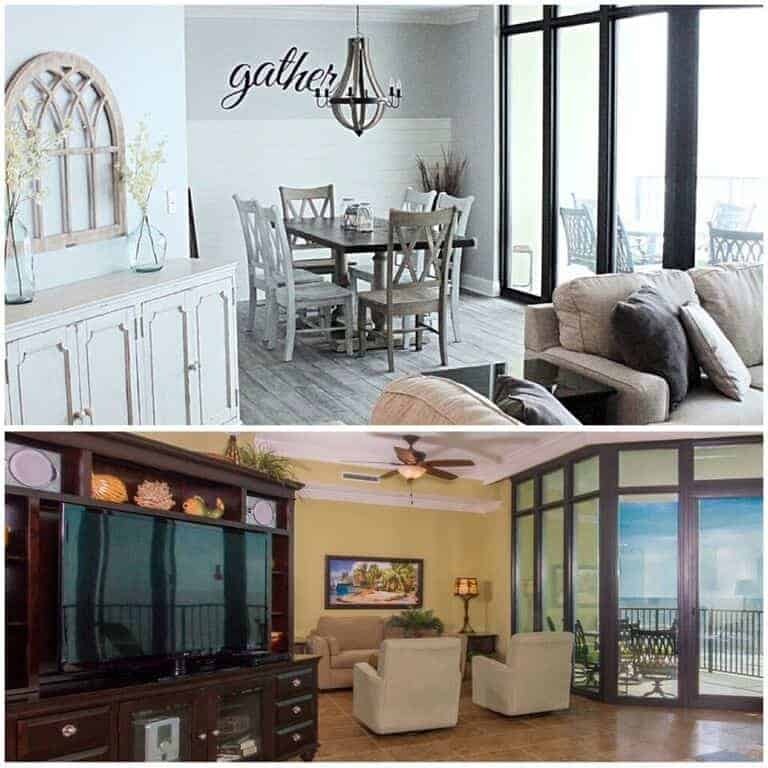 Thanks for sharing over at #HomeMattersParty! I love using mason jars for everything!!! I stuff those battery operated ‘twinkle lights’ inside mine and use a table decor, or sidewalk lights for an outdoor party. Have a great weekend! I really love this blog post! I collect mason jars and I really love these craft ideas. 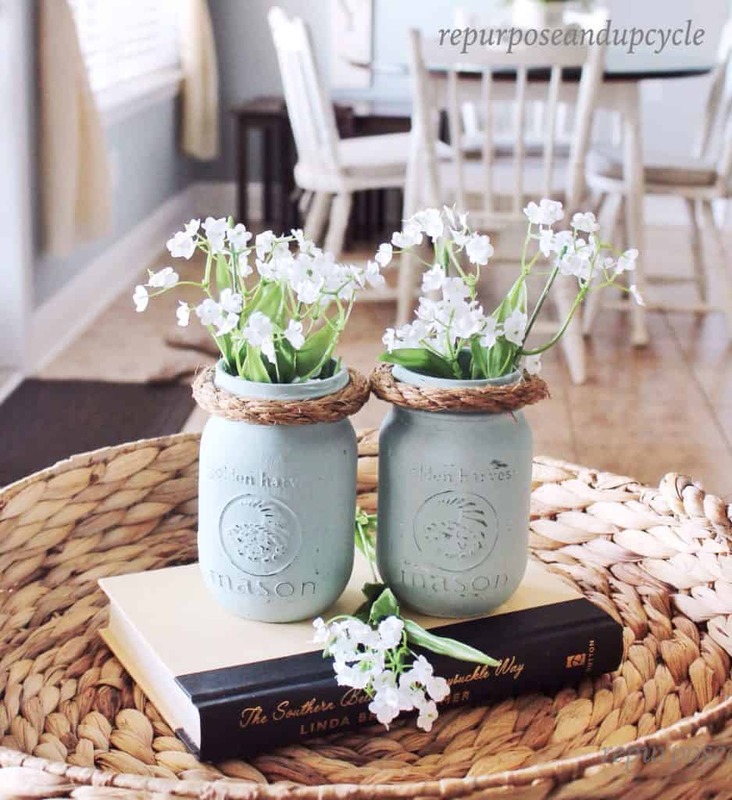 Love these mason jar crafts! Thanks for sharing at the To Grandma’s House We Go link party. Haha I love that you mentioned the “decorating craze” – I don’t live in America, but all I see on Pinterest is Mason Jar DIYs 😀 I really like the way you styled yours though. Very minimalist and spring-like 🙂 Thank you for linking up at the Friday Favorites linky party! Great round up! Love the blue ones from Etsy, so simple yet so pretty!